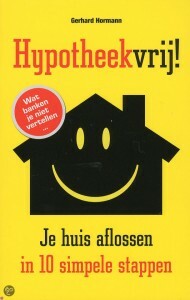 Hypotheekvrij is a nice read written by a Dutch writer Gerhard Hormann. This book demystifies lot of claims made around the housing market. Claims like house is always a good investment, house is not a debt but an investment, people who are paying off their mortgage are thieves of their own pocket. If we look around us we see lot of people as victims of those investments. People bought bigger houses then they could afford some even bought bigger second house. Everybody was living in the bubble, the sun was shining 24/7 and suddenly the sun stopped shining. After the burst of the big bubble, the whole housing market collapsed, the value of the houses dropped far below the mortgage value. That meant beside the house being an investment it was an extra debt on top of the mortgage. Out of this book I was expecting to get a good understanding of the mortgage system and clever tricks to pay off the mortgage as soon as possible. 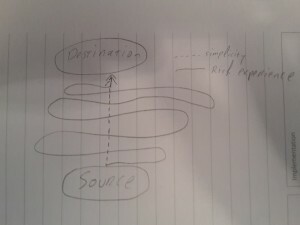 Instead Gerhard talks little about the technical side of mortgages. His main focus is on increasing ones financial IQ, changing ones way of thinking and the lifestyle one is living. Saving and minimalistic living are the key words in this book. The key strategy is to use the savings to get rid of the mortgages as soon as possible. Living without debt has not only financial benefits but brings in place an experience of authentic freedom. Gerhard argues, “when we live simply, our cost go down, less money is needed, work becomes less importan and our free time increases to enjoy our live”.